On April 24, 2015, Guangzhou Municipal Intermediate People’s Court in south China’s Guangdong Province stunned Xinbailun Trade (China) Co., the local sales company for the well-known U.S. sports brand New Balance, with a $16 million verdict for violating the trademark rights of a Chinese individual, Zhou Yuelun (Zhou or plaintiff). In addition to the $16 million verdict, to avoid further consumer confusion, the Court ordered the Chinese affiliate of New Balance to stop using the “Xin Bai Lun” term to market its product in China and required them to publicly apologize for the harm caused to Zhou. How and why did this happen? The source of the issue may emanate from China’s first-to-file system and the cultural and linguistic inconsistencies between the English and Mandarin languages. The Chinese Court’s decision highlights a significant lesson about use of Chinese character marks and the importance of filing early in China, irrespective of the marks’ use in China. Some cultural and linguistic explanation is necessary to understand this landmark decision. 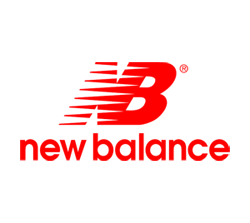 The name used by the New Balance affiliate was新百伦pronounced “Xin Bai Lun.” “Xin” means “New” in Chinese and “Bai Lun” is a phonetic translation of “Balance.” The plaintiff owns the trademarks百伦pronounced “Bai Lun” and新百伦pronounced “Xin Bai Lun.” “Bai Lun” was registered as a trademark in China in 1996 for certain merchandise (in International Class 25), including “clothes, footwear, and headgear.” International trademark classification and the headings of the international trademark classes are established by the Committee of Experts of the Nice Union. Thus, Class 25 is essentially the same in the United States when used by the U.S. Patent and Trademark Office. In 2004, Zhou applied to register the trademark for “Xin (new) Bai Lun” for similar merchandise in International Class 25, the registration issued in January 2008. Zhou had an established brand of men’s shoes using the names “Bai Lun” and “Xin Bai Lun” that are sold in local Chinese department stores. In 2004, New Balance attempted to oppose the registration of Zhou’s “Xin Bai Lun” mark on the basis that New Balance used an identical version of the mark, 新百伦 pronounced “Xin Bai Lun,” since 2003. To New Balance’s detriment, the Chinese trademark office rejected their opposition and as a result, Zhou’s “Xin Bai Lun” mark registered in Class 25 for clothing, shoes and hats. Although Zhou owned the rights to the “Bai Lun” and “Xin Bai Lun” marks, New Balance continued to use the marks to promote their brand, which led to Zhou filing the lawsuit and the Court’s significant damages award. Unlike in the United States, where trademark rights are based on use, Chinese law does not recognize or protect a trademark unless it is registered with the Chinese Trademark Office (CTO). This Court’s decision highlights a significant lesson about use of Chinese character marks and the importance of filing early in China, irrespective of the marks’ use in China. In the lawsuit, Zhou claimed that New Balance used “Xin Bai Lun” on shoes without authorization, and New Balance’s unauthorized use led customers to believe that all shoes so marked were New Balance shoes. The alleged unauthorized use included the use of the name “Xin Bai Lun” on New Balance’s official China website as well as printing “Thank you for buying Xin Bai Lun products” on the store receipts in the retail outlets in China. Zhou maintained that New Balance’s behavior hampered his ability to build and develop his own brands of “Bai Lun” and “Xin Bai Lun” in China. New Balance took the position that “Xin Bai Lun” was used in good faith as part of its name and was a direct transliteration of the English “New Balance.” New Balance further argued its use of “Xin Bai Lun” as a sale label predated the plaintiff’s use of “Xin Bai Lun” in commerce. Finally, New Balance argued that its use of “Xin Bai Lun” did not produce any confusion to the consumer and therefore did not amount to infringement as alleged. The Court initially determined that the plaintiff’s and the defendant’s products were substantially similar, thereby providing a basis for the trademark infringement/dilution claims. The Court then found that the “Bai Lun” trademark registered in 1996. Since the CTO makes trademark filings and registrations readily available to the public, the Court opined that the defendants should have known that the “Bai Lun” and “Xin Bai Lun” marks had previously registered in the name of the plaintiff. Furthermore, the Court found that New Balance opposed the registration of the plaintiff’s trademark application for “Xin Bai Lun” in 2007, and obviously was aware of the dispute. Finally, the Court determined that since New Balance was aware of the existence of the trademarks of “Bai Lun” and “Xin Bai Lun,” and since New Balance continued to trade on the plaintiff’s registered trademarks, they did so in bad faith. In view of these findings, the Court rejected New Balance’s argument for fair use and first use. Significantly, the Court also rejected New Balance’s argument that “Xin Bai Lun” is a translation of the company name, finding that a proper translation for New Balance should have been “Xin (new) Ping Heng (balance) or 新百伦,” which is also the name of the New Balance affiliate, Xin Ping Heng Athletic Shoe, Inc. Finally, the Court pointed out that New Balance previously used another name “Niu Ba Lun新百伦,”which is the phonetic translation of New Balance and therefore found New Balance’s argument that “Xin Bai Lun” is the company’s name in Mandarin is not supported. It has been a common practice for U.S. companies to adopt a Chinese name when entering the ever-expanding Chinese market. The older convention in China was for the company to adopt a phonetic translation, such as “Suo Ni” (Sony) and “Mai Dang Lao” (McDonald’s). As the Chinese consumers have become more sophisticated, for marketing reasons a straightforward phonetic translation is sometimes foregone and in this case a mixture of translated meaning (“Xin” = “New”) and phonetic (“Bai Lun” = “Balance”) was adopted. Companies struggle to navigate between using a name that is marketable in a foreign language and yet recognizable to the consumers to connect to the original U.S. brand name. From a practical standpoint, companies should ensure that their choice of names to be used in China – the use of names (on websites or press releases) and the products associated – go through trademark clearance and due diligence procedures just as they would in the United States. As the Chinese market continues to expand and more U.S. companies sell their products in China, it is to be expected that the landscape of intellectual property claims will expand as well. Act early in registering your trademarks. File trademarks in English and in Chinese characters. Consider the use of Chinese language variations. Consult with experienced Mandarin/English speakers, so that trademark versions adopted properly reflect your brand.